Generously proportioned 5 bedroomed 200 year old Coach House of considerable character with attractive large enclosed private front garden plus garage for one small car and 1 medium car on driveway (please leave space so the neighbours can park their cars). There is also free on-street parking on Eskin Street which is just around the corner from the house. The garden is a great location for outdoor entertaining. Conveniently positioned within 5 minutes of the town centre in an attractive residential area and enjoys some stunning views towards the surrounding Lakeland fells. 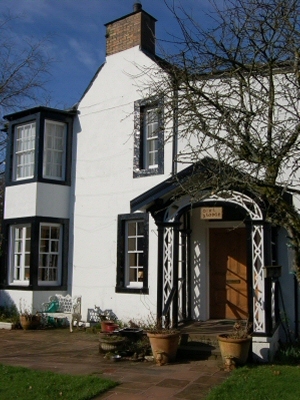 Oaklodge is a Grade II listed period property which has retained its original character and outstanding original features. This generously proportioned holiday home of distinction provides accommodation of a wonderful quality furnished to the highest standards with excellent examples of antique furniture throughout the property. This 5 bedroom period house offers spacious, well equipped self-catering accommodation, ideal for 2 / 3 families or groups of Walkers / Bikers / Large groups holidaying together for between 10 & 12 people. The house was tastefully refurbished throughout in 2013 adding two newly fitted extra bathrooms making a total of four. It has a modern theme whilst keeping its period charm, with such amenities as wireless internet access and wall mounted TVs in 3 rooms. You can check availability of the property using the form below the picture on the right. You can book a full week (Friday - Friday), or a half week (Friday - Monday or Monday – Friday weekend break). A refundable damage deposit of £200 is payable one week prior to arrival, made payable to "Results Driven Group Ltd". There is an Access statement available for this property, if required please call 01332843569 or 07951212186. Great location, very clean, good sized rooms and comfortable beds. Kitchen was well equipped. Family of nine both young and old enjoyed a wonderful weekend at Oak Lodge. Everything you needed was provided. Beautiful house and lovely garden. Would recommend to anyone wanting a break in Keswick with good accommodation.